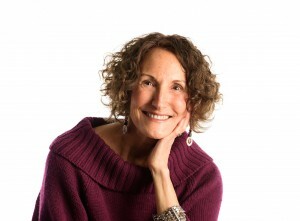 offers an integrated approach serves women, in midlife and beyond, to enjoy healthy living and ageless aging. 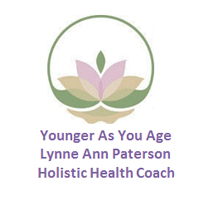 Younger AS You Age Holistic Health Coaching service will help you to take charge of your own health and strengthen the foundation of your wellbeing. With my Ultimate Success Systems you can improve the quality of sleep, food, activity, breath, relationships, in order to create exceptional health, and master the art of living and aging. You will acquire the skills to nourish your self effectively, through all the seasons of your life. Your newfound habits will increase the effectiveness of any allopathic or traditional healing modality, that you may choose to use to complement my coaching. When the five ‘bodies’ are clear and strong, the five senses will be enlivened, and your whole being will radiate with energy, positivity and joy. You’ll enjoy excellent health…at any stage…and love the way you age!! I will educate, guide and support you to manifest the health of your wildest dreams, and master the way you age. I’ll guide you make small changes over time, so you can get savvy with your self-care. I’ll help you get the toxins out of your foods, off your body and out of your home. I will support you to reclaim your vitality so you may experience yourself as a beautiful woman full of radiant beauty, love and light. I’ll also teach you how to become more self-aware, so you can stand in your wisdom and make the best choices for yourself. And I’ll guide you to establish a natural lifestyle that supports your future goals and dreams. I’ll hold your hand when you need support. I’ll hold you accountable, so you can stay on track. I’ll applaud you for all your successes! Excellent health engenders great states of happiness, joy and bliss. Let’s get your healthy habits on track, so you can enjoy happiness, joy and bliss on a daily basis. I create a customized plan, to help you look and feel your very best! With my support you’ll be up and running with confidence and a new outlook on life. In six months to a year, you’ll be on your way to experiencing personal bliss and expressing personal best. I guarantee, you’ll have a blast learning to love and nourish yourself better than ever! My coaching could be just the right ticket on the train back to radiant health. So don’t miss the train. Discover if I’m the coach who will help you look and feel younger as you age. Sign up for your complimentary consultation today.